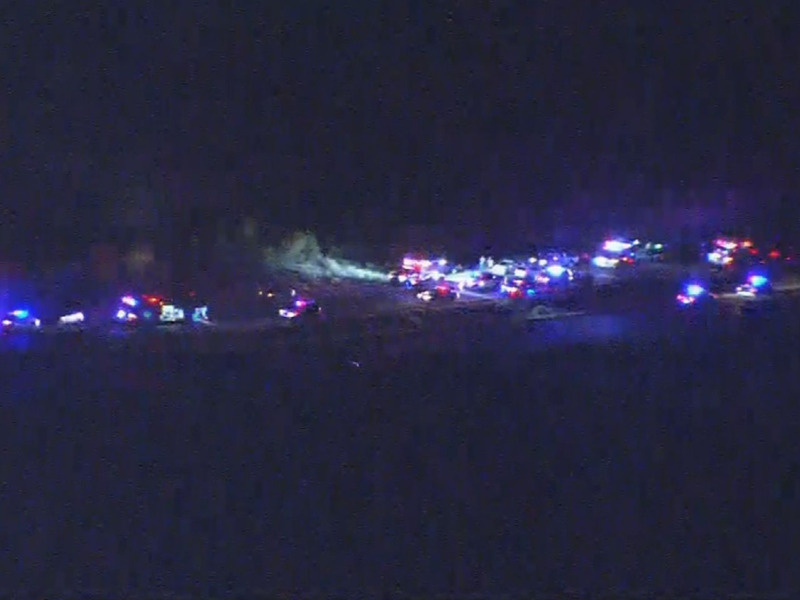 PHOENIX -- Authorities say a suspect is in custody after a motorist in the Phoenix area was hit by gunfire, another was wounded in a carjacking, and a patrol cruiser was struck by a bullet. Maricopa County Sheriff's Det. Doug Matteson says the violence erupted late Tuesday night on and around Highway 87, in Phoenix's northeast suburbs. He says someone in a vehicle opened fire on a passing car and struck a person inside. Then the suspect fled toward a nearby casino, and shot and wounded another person in a carjacking. CBS Phoenix affiliate KPHO-TV says it got reports of a driver going in the wrong direction, shooting at vehicles. Matteson says that later, a Department of Public Safety officer was chasing a vehicle and the officer's vehicle was hit by gunfire. None of the injuries was life-threatening, KPHO says. Matteson says several roads in the area about 20 miles northeast of central Phoenix were shut down as authorities investigated multiple crime scenes.